Months after a patient-abuse case that led to the arrest of ten employees and the disciplining of dozens more, Gov. Dannel P. Malloy has signed an executive order that separates the maximum security Whiting Forensic Division from Connecticut Valley Hospital. Malloy said in a statement on Tuesday that the changes will allow the state Department of Mental Health and Addiction Services (DMHAS) “to focus more directly on the changes needed to continue to improve the quality of care at the facility.” The new independent entity will be called Whiting Forensic Hospital. Under the order, beds at Whiting Maximum Security will be consolidated with those at the Dutcher Enhanced Security building, creating a 229-bed forensic hospital. The new hospital will have a leadership team with its own governance and policies, procedures, and personnel, and the CEO will report directly to the commissioner of the state Department of Mental Health and Addiction Services. “Having these two facilities as distinct entities governed by their own policies, procedures, and staff will ensure that we can focus more directly on the changes needed to continue to improve the quality of care at Whiting,” Malloy said in a statement. Under maximum security conditions, the Whiting Forensic Division generally cares for patients with psychiatric disabilities, some of whom have been convicted of serious offenses or were found incompetent to stand trial. In September and October 2017, ten staff members were arrested following a state police investigation of the ongoing abuse of a 62-year old Whiting patient. A total of 37 staff members have been placed on paid administrative leave. During the same time period as the patient-abuse investigation, Whiting Forensic Division voluntarily rescinded its certification as a Medicare provider. The voluntary de-certification of its 91 patient beds last summer, retroactive to April 1, 2017, made it ineligible for Medicare reimbursement. Whiting undertook the measure because the division did not meet the Centers for Medicare and Medicaid Services’ (CMS) standards for discharge planning, according to an Office of Legislative Research report. 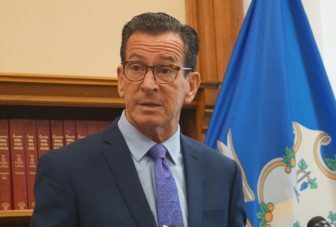 According to Malloy’s executive order, CMS requires that a de-certified division of a facility have operations that are independent of a CMS certified facility, which in this case is Connecticut Valley Hospital in Middletown, the state’s psychiatric hospital. The new Whiting hospital will be structured to meet state guidelines for similarly licensed facilities and will continue to be led by Dr. Michael Norko, as the state Department of Mental Health and Addiction Services conducts a national search for a permanent CEO of the hospital, according to press release about the executive order. The order says Delphin-Rittmon will now work with the Office of Policy and Management and Malloy’s office to introduce legislation to establish Whiting Forensic Hospital as a stand-alone facility. The full transition is expected to be completed by the end of January.